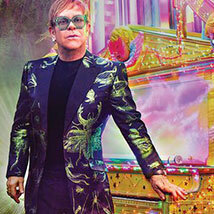 Global icon Elton John is bringing his Farewell Yellow Brick Road Tour to Tulsa’s BOK Center. After more than 50 years on the road, Elton John will be entertaining audiences one last time. Located in downtown Tulsa, the BOK Center is conveniently located near other attractions, restaurants and lodging.